* Coupon Code - American Express Platinum Card® Members, please enter the customer service phone # on the back of your card"
Opening Ceremony and American Express Platinum are pleased to announce “Changers”, A Dance Story, an innovative and intimate performance written and directed by Spike Jonze. The performance explores the evolution of relationships and will be told through movement and dance. Opening Ceremony is the first fashion brand to produce an original performance event that will be open to the public and ticketed in New York City. Prior to general sale, tickets will be available to purchase for 48 hours exclusively to American Express Platinum Card® Members. 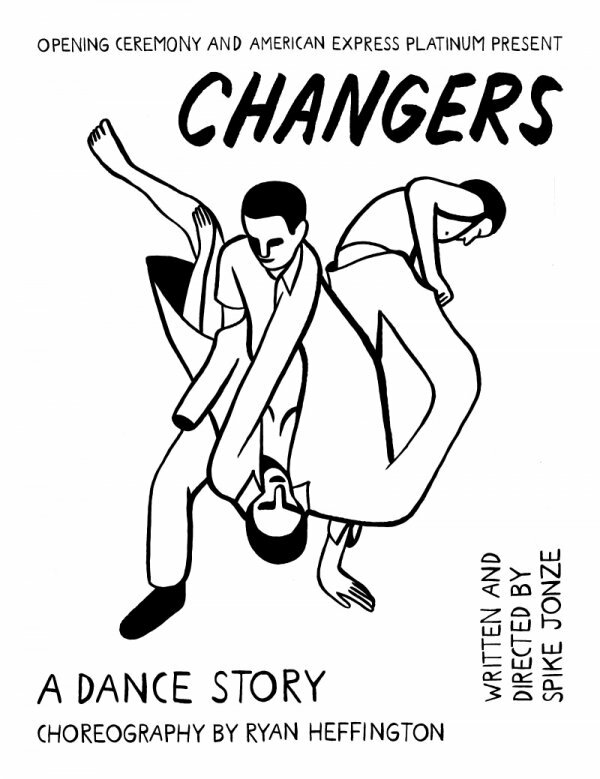 Changers: A Dance Story” is another product of the natural creative synergy between Spike Jonze and Opening Ceremony founders Humberto Leon & Carol Lim. These projects, which blur the lines between fashion, art and culture, include: “100% Lost Cotton,” a play at the Metropolitan Opera; the Opening Ceremony Fall/Winter 2015 collection, featuring Jonze’s archival polaroids; a collaboration for Jonze’s movie Her and Where the Wild Things Are. Upon arrival, please be prepared to present your e-ticket via smartphone or printed copy.